Each Water M-Ply Plus and Water S-Ply is a plywood version of the Water. The Water M-Ply plus has a special ordered hard maple plywood top with attractive wood grain. And the Water S-Ply has a very clean special ordered spruce plywood top. 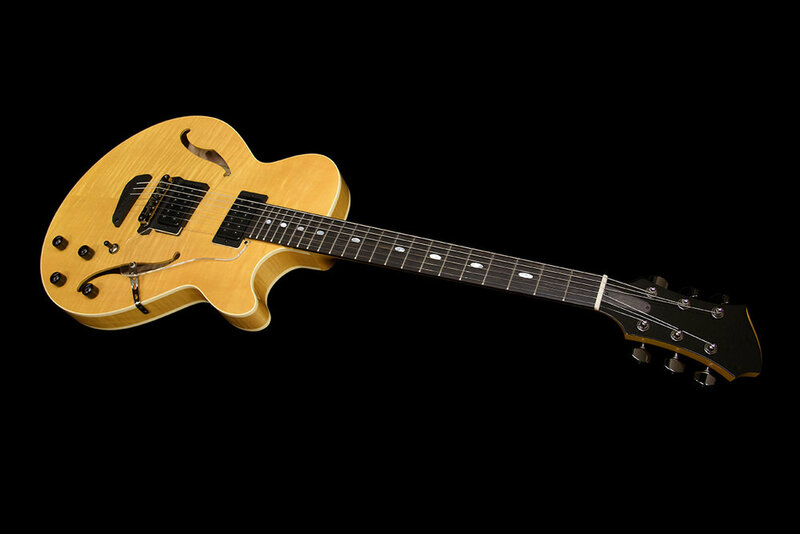 The sound of each model has not only clarity of Westville guitars but also property of traditional semi-hollow guitars like ES-335.